The natural resources used for water, energy and food are under increasing pressure across the world. Growth in both population and incomes is increasing consumption globally, stretching towards the planet’s ecological boundaries. Climate change exacerbates the pressure on all three interdependent resources, intensify the risk of insecurity and the significance of interdependencies, and makes millions of people, predominantly in developing countries, more vulnerable. Hence, in addition to the need to address these resource systems simultaneously, understanding and managing the links among them is essential for formulating policies for more resilient and adaptable societies. In this perspective, the concept of the water-energy-food (WEF) nexus has become widely used to help understand the complexities of these interdependent systems and how they can be managed sustainably and equitably to meet growing demand. Furthermore, proponents of the WEF nexus as an approach to planning and resource management highlight the need to improve efficiencies in resource use to reduce environmental degradation and maximize the social and economic benefits of increasingly scarce natural resources. The approach has been also advocated to address conflicts or trade-offs among the water, energy and food sectors. Pardoe, J., et al. (2017). 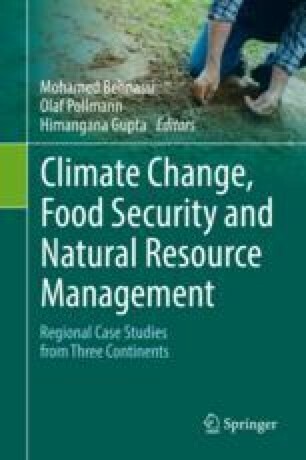 Climate change and the water–energy–food nexus: Insights from policy and practice in Tanzania. Climate Policy. https://doi.org/10.1080/14693062.2017.1386082.